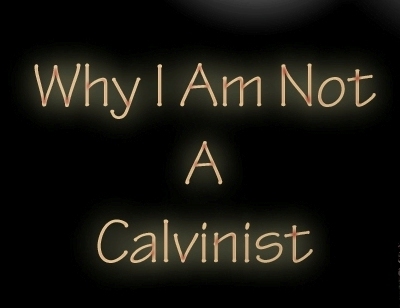 A question I have had asked of me many times over the years has to do with the subject of election and my views on Calvinism. I have never really cared for appearing to attack someone else’s biblical views unless they are blatantly in error. While I am not a Calvinist and while I do feel when it comes to interpreting the nature of God and the scope of Christ’s atoning work on the cross Calvinism is biblically flawed, I do, however, like its emphases on the truth that salvation is by the grace of the Lord and not by man’s works lest anyone should boast (Ephesians 2:8-9). Yet I do believe that Calvinism actually limits God’s grace and whose brush strokes on the canvas of divine revelation paints an incomplete, if not an inaccurate, picture in regard to the biblical nature of God and His grace as found in the Christ of the cross. Does God elect certain persons to salvation while others are purposely rejected and condemned to eternal judgment? Does a person have a choice in the matter of salvation or is one’s eternal acceptance by God or eternal rejection by God predetermined before their birth irrespective of one’s foreseen faith or lack of faith?